Aims: To characterize the relationship between advanced glycation end products (AGEs) and circulating receptors for AGEs (RAGE) with cardiovascular disease mortality. 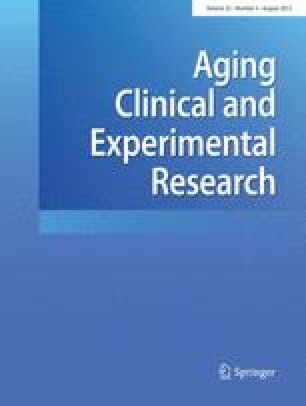 Methods: The relationships between serum AGEs, total RAGE (sRAGE), and endogenous secretory RAGE (esRAGE), and mortality were characterized in 559 community-dwelling women, ‡ 65 years, in Baltimore, Maryland. Results: During 4.5 years of follow-up, 123 (22%) women died, of whom 54 died with cardiovascular disease. The measure of serum AGEs was carboxymethyl-lysine (CML), a dominant AGE. Serum CML predicted cardiovascular disease mortality (Hazards Ratio [HR] for highest vs lower three quartiles, 1.94, 95% Confidence Interval [CI] 1.08–3.48, p=0.026), after adjusting for age, race, body mass index, and renal insufficiency. Serum sRAGE (ng/mL) and esRAGE (ng/mL) predicted cardiovascular disease mortality (HR per 1 Standard Deviation [SD] 1.27, 95% CI 0.98–1.65, p=0.07; HR 1.28, 95% CI 1.02–1.63, p=0.03), after adjusting for the same covariates. Among non-diabetic women, serum CML, sRAGE, and esRAGE, respectively, predicted cardiovascular disease mortality (HR for highest vs lower three quartiles, 2.29, 95% CI 1.21–4.34, p=0.01; HR per 1 SD, 1.24, 95% CI0.92–1.65, p=0.16; HR per 1 SD 1.45, 95% CI 1.08–1.93, p=0.01), after adjusting for the same covariates. Conclusions: High circulating AGEs and RAGE predict cardiovascular disease mortality among older community-dwelling women. AGEs are a potential target for interventions, as serum AGEs can be lowered by change in dietary pattern and pharmacological treatment.